The solar eclipse that is making its way across the United States on August 21, 2017 is a big event. Astronomers, professional and amateur alike, have been planning for this event for years. 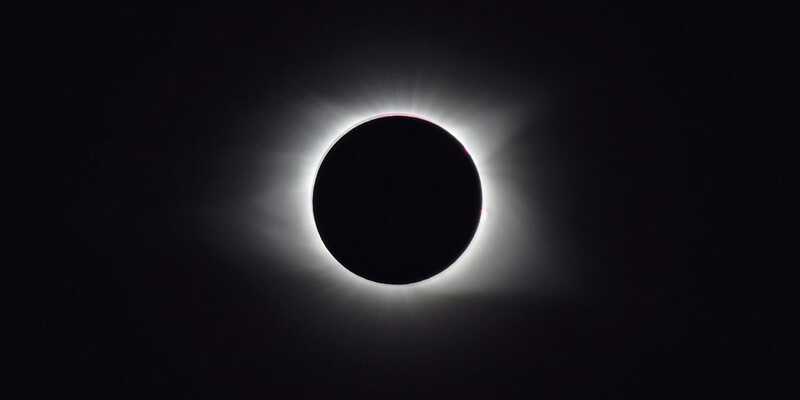 Small towns across the country that are in the path of the total solar eclipse are sold out of hotel rooms and expecting hundreds of thousands of visitors for this unique event. Whether you’re planning a cross-country road trip for the occasion or watching it from your own backyard, we’ve rounded up the best resources to prepare you for the spectacle. Enjoy! NASA has the most comprehensive list of events and activities surrounding the solar eclipse. Some cities are celebrating the occasion with weekend-long festivals, while others will just be setting up small gatherings the day of the eclipse. Whatever you’re in the mood for, just find your location on the map to see the list of viewing parties and events near you. 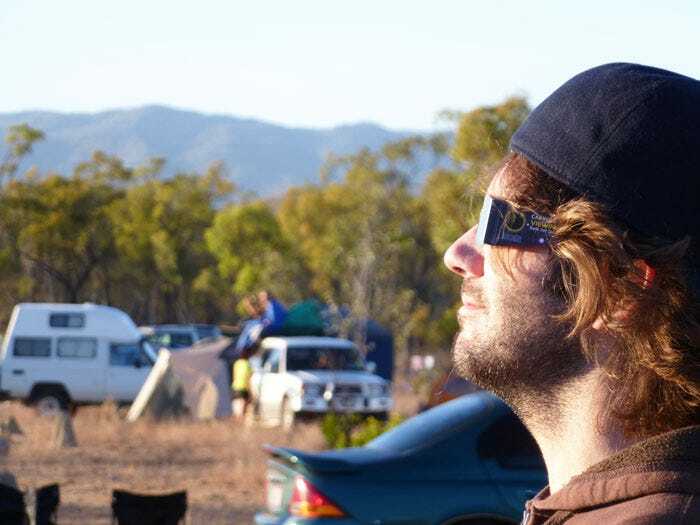 Most people know not to look directly into the sun, but with the eclipse coming, there is also a concern about the safety glasses people might use. Read these safety tips from the The American Astronomical Society and make sure you get the best viewing experience possible. Vox has one of the coolest visualization of the solar eclipse. 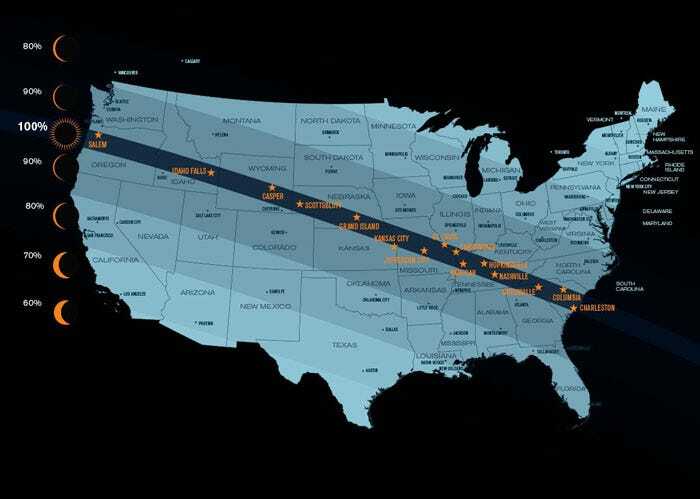 While most of the buzz is surrounding the path of totality that runs through the middle of the country, most people will only get to see a partial solar eclipse. Just put in your zip code to get a sense of what you’ll be seeing on August 21st. Even if you won’t be in the path of totality, this interactive map is pretty great. See how the eclipse will travel across the country and get information on the unique events, landmarks, and locations that will be covered in darkness for a few minutes. Many will want to capture this exciting event, but few will be able to truly do it justice. There are a lot of things to consider when taking pictures of the sky and the solar eclipse will be even more complicated. Read Time Magazine’s interview on how to photograph the solar eclipse. The article features photographer and Canon representative, Ken Sklute, with his tips on everything from equipment to settings. You can also watch the video below by photographer Hudson Harry for a deep dive on lenses, filters, and glasses to make sure you get the best possible shots of the solar eclipse. If the 1-day solar eclipse event just doesn’t satisfy your love of astronomy, MOVA International has paired up with Celestron Telescopes to give away 4 incredible sky-themed prizes. 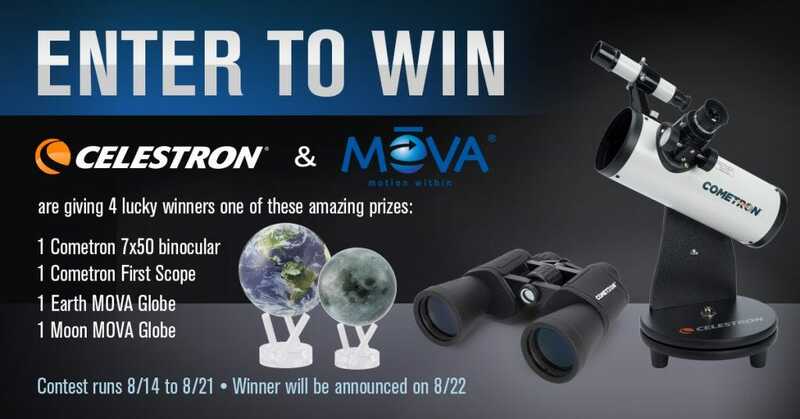 Head over to our contest page starting August 14th and enter to win a Moon MOVA Globe, an Earth MOVA Globe, Celestron binoculars, and a Celestron telescope. We hope you enjoy the solar eclipse and we can’t wait to hear your viewing stories and see your pictures. For a complete overview of the solar eclipse head over to NASA’s eclipse website.